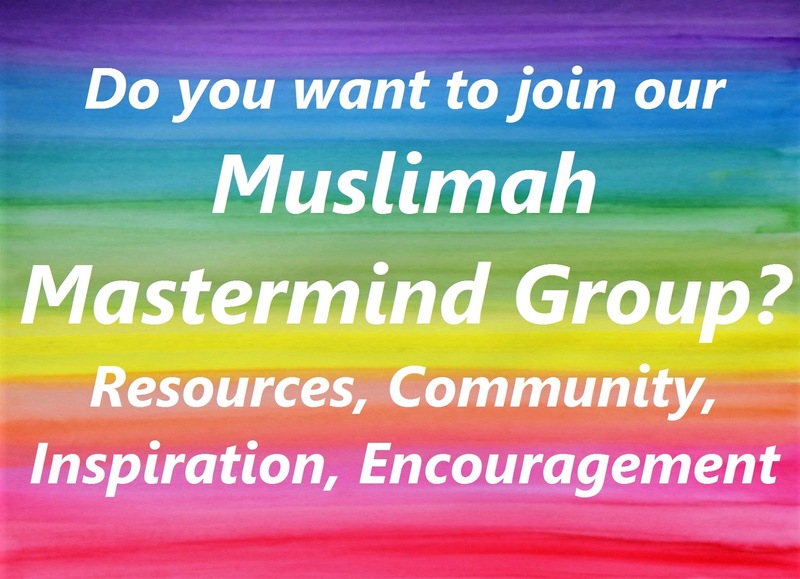 Happy Muslim Mama: Muslimah Mastermind Group – Is This for You? I first came across the idea of the Mastermind Group as a teenager in Tony Buzan’s book Buzan's Book of Genius - And How to Unleash Your Own, amongst twenty traits he lists as characteristics of genius are mastermind groups internal and external. The idea actually dates back to Napoleon Hills books on success and wealth creation from the 1920’s. Wikipedia describes a Mastermind Group as: “a peer-to-peer mentoring concept used to help members solve their problems with input and advice from the other group members”. In Buzan’s book the internal (or virtual) Mastermind group consists of the role models, heroes and teachers you look up to, for us this could be the Prophets (peace be upon them), Sahabah (RA) or people who were experts in the area we are interested in. The real Mastermind group is made up of the advisers, guides and friends we can call on to help us realise our goals, these are our allies and advocates in real life. I believe that a group of women can be exceptional change makers and networkers, able to support each other and make things happen. I believe that a group of committed Muslimah’s, with focus, purpose and the power of dua and good intentions can be exceptional channel for great things to happen insh’Allah. Doesn’t sound realistic? When I worked in the Civil Service, I brought together a group of women around me and asked if they wanted to network to see how we can help each other, to act as allies and advocates for each other. Our first meeting consisted of over an hour of whinging and listing reasons why we could not succeed. I was disheartened, but decided not to give in so easily. I soon realised that that first hour had been a chance for the women to vent about their experience and perceived obstacles. Once that was out of the way we were ready to do something positive. I e-mailed the group to ask them to outline briefly what they wanted to achieve and what their goals were. These varied from completing a qualification, getting a promotion, entering into a new field or finding a job in a particular company. I then outlined some principles for the group to help each other, we would read each other profiles and then signpost each other to opportunities that matched each other’s interest. It doesn’t sound very significant, but every one of us benefitted through applying for jobs and job entry programmes or finding new opportunities in the organisation we worked in. We were inspired and motivated and would regularly share ideas and opportunities that might appeal to each other. 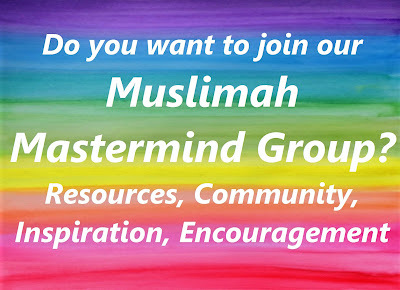 I have thought about this for a long time and have wanted to be part of a sincere, dynamic, Muslimah Mastermind group for some time. Where better than this blog to put the call out for sisters to see who is interested? I intend to set up a private Facebook group so that sisters can share resources and ask for help and also an invitation only website linking to all of the resources across a wide range of themes (from time management to parenting to financial and business skills), e-books, planners and journals that I create or come across on a daily basis. This will take a few weeks, but I didn’t want to wait for that to get started. What you can bring to the group (i.e. your skills, professional expertise, life experience, knowledge, networking skill etc.) If you don’t feel you can bring anything right now, your sincere intentions and dua is a good place to start. This is something I am passionate and super excited about and I look forward to hearing from sisters and seeing where this takes us insh’Allah. A great idea. What if im not on Facebook but want to join? Happyto answer any questions you have on Masterminds.